Got Grime? We’ve got answers! Give us a call to restore and extend the life of your home or office surfaces. Pressure Washing is an economical way to extend the life and increase the value of your property. Beautify your property by removing harmful dust, dirt, mold & mildew. 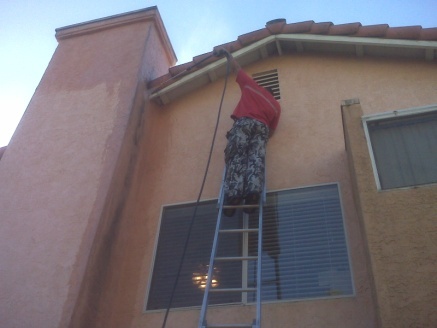 We specialize in exterior house, building & structure washes. Pressure Washing your surfaces will bring back the gleam & beauty, making them look new! Save money by booking multiple cleaning jobs at once, rain gutters, window cleaning & pressure washing! Call now for your FREE ESTIMATE! 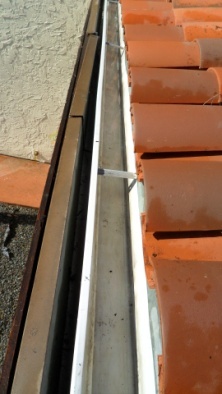 Those pesky rain gutters full of dirt and leaf litter? Give us a call; we’ll clear them for ya! We’ll even email you video and picture confirmation with before and after shots. No additional cost! It comes with your service. Why spend your Saturday perched precariously on a ladder elbow deep in the grime when you could be relaxing with your family and friends? Let us get the job done, and get it done right! Call for a FREE onsite estimate! Call now for your FREE ESTIMATE! 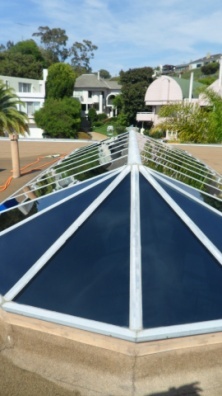 Dirty Solar Panels and Skylights can’t work at their optimum performance. Keep them clean and keep them functioning properly. A professional tool requires a professional cleaning. Give us a call to keep them sparkling. Save time and money by booking several services in the same appointment! Call now for your FREE ESTIMATE!